The common purpose that connects everything we do is the long-term resilience of this place and the people that live and work here. Our work lies in bringing many organisations and groups together to address whole-systems change towards a flourishing bioregion. An ecology programme that gives a role to citizens and communities in caring for the environment alongside statutory authorities, landowners and NGOs. Much of the harm to our environment can be lessened if we change our behaviour in the places where we live and work. We are starting this programme with a water charter for the River Dart [click through link to projects page]: putting the health of the river first, asking local people what the issues are, then coming up with solutions together. An arts and design programme that gives local people a greater sense of belonging to this region of South Devon, and opens up the question of what it means to be a citizen of this place. Like people, places have a character, an essence. What would those places say if they could speak to us and each other? The Parliament of Waters is our first arts programme, currently in development. An economy programme that promotes sustainable, low-carbon enterprise as an existing feature of this region and builds on the fact that 80% of Devon’s economy is made up of small and medium-sized businesses. We are focusing on connecting up those people in local economies that see the value in building long-term resilience. And we are developing a fellowship programme that offers personal and professional development for those people. A learning programme that offers direct experience of real-world problem-solving in the context of sustainable economies and ecologies. Together with Plymouth University we are applying for South Devon to be a learning region for sustainability that is part of the United Nations University. And we are part of an EU learning project that is creating biomimicry resources for secondary schools that will be trialled in South Devon. 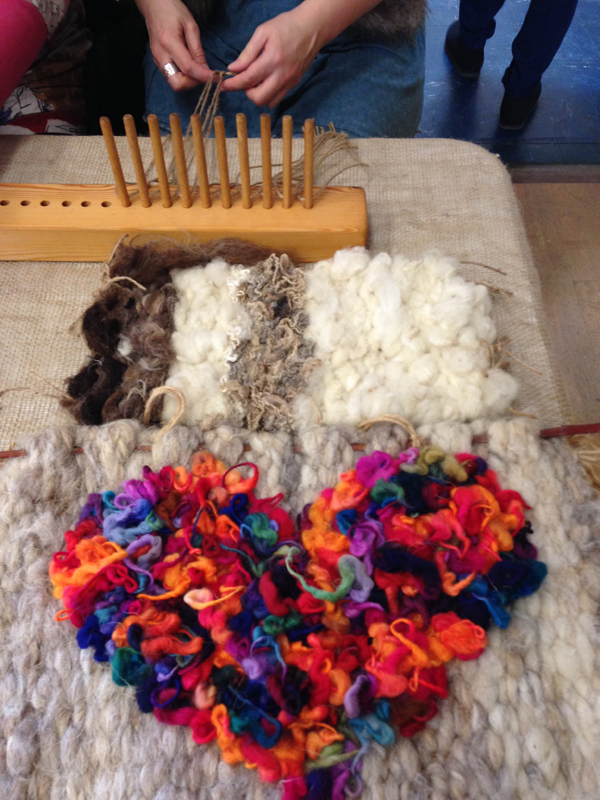 The Buckfastleigh Wool Gathering where Isabel facilitated a conversation on “our future as a resilient wool community”.